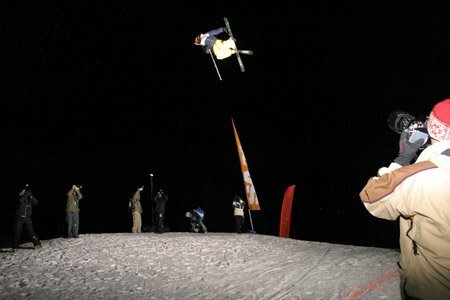 The U.S Open Big Air is one of the seminal moments every year in freeskiing. 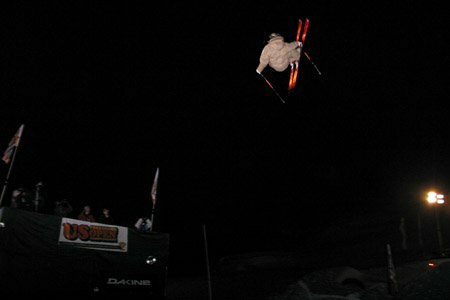 All the tourists in Vail that weekend show up, mainly for the fireworks, and are exposed to what's really happening in freeskiing. 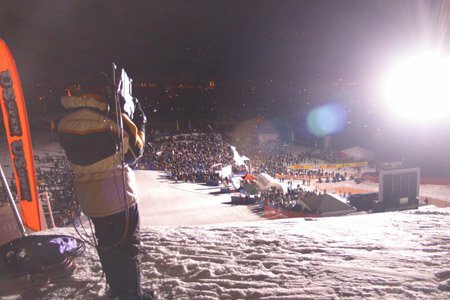 No Warren Miller-type exposure, no racing, just the future of the sport through newschool. Like I said before, unfortunately, judging was a problem again. The greatest transgression of the night was the final decisions on Mike Wilsons' runs. 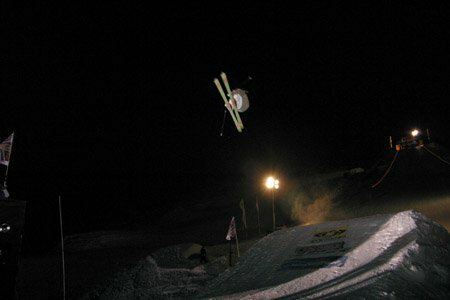 While Mike didn't compete in the slopestyle yesterday, his five consecutive double underflips last year were enough to buy him a spot in the Big Air. Mike's first hit, he stomped that same trick... and got jipped with a score in the low sixties. 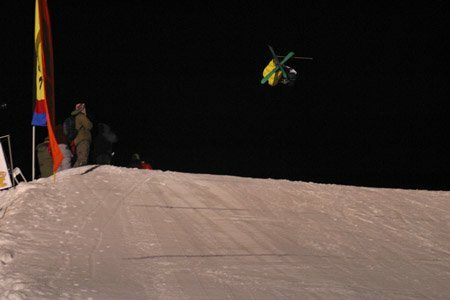 Then for some reason, his next run, Mike got a double rodeo japan down but skidded out on the landing and scored higher than his first run. 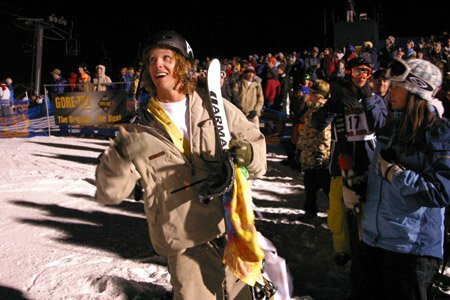 "Last year I was sitting in first after that trick (double underflip), I got a 94.5 with that last year. This year, I barely broke 63. 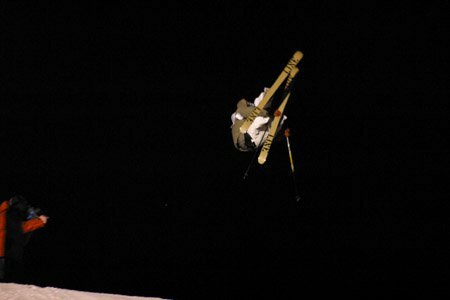 I mean my second jump, I scored higher... and didn't even land on my feet... I dunno, I'm just glad that there are good jumpers in the final heats." Other b.s. this night was a questionable call on most of Charles Gagnier runs. 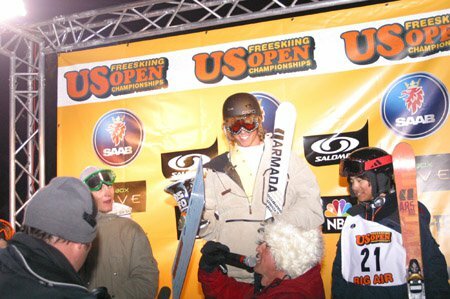 Fortunately the idea of the Open, that any kid can come out and win if they have the skills, came through in Derek Sprong. 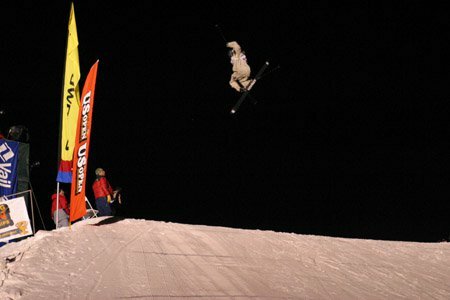 This 14 year-old who placed eighth in the slopestyle yesterday, tonight he came out ready to throw down. He ended up in third, deliving the main fare of the night, cab 1080. 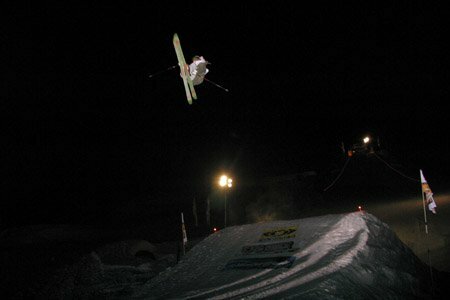 In the end, T.J. Schiller, coming off a bad day during the slopestyle finals, won the night Big Air comp of the U.S, Open. 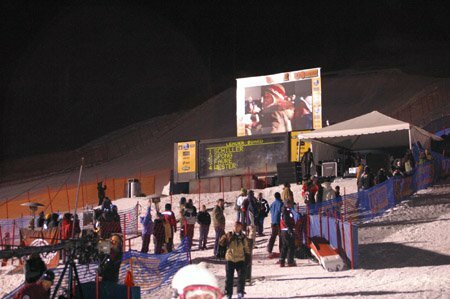 Laurent Favre placed second. 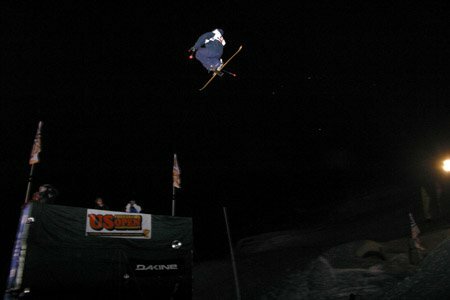 While he was only throwing switch rodeo 7's, he was taking his jumps a lot farther than the rest of the competitors. The 14 year-old Seattleite Sprong came up in third, an awesome showing for a kid who has a good chance of making a name for himself in the industry.